Yes you heard right . Free basic service of internet provided by the Facebook is not actually free but it cost you in some way. So dont be in a faith that it is absolutely free and mark zukerberg is providing it free in India. Who could possibly be against free internet access? This is the question Mark Zuckerberg asks in a piece for the Times of India in which he claims Facebook’s Free Basics service “protects net neutrality”. Not content to await the regulator’s verdict, Facebook has come out swinging. It has paid for billboards, full-page newspaper ads, and television ad campaigns to try to enforce the point that Free Basics is good for India’s poor. n his Times piece, Zuckerberg goes one step further – implying that those opposing Free Basics are actually hurting the poor. He argued that “for every ten people connected to the internet, roughly one is lifted out of poverty”. Without reference to supporting research, he instead offers an anecdote about a farmer called Ganesh from Maharashtra state. Ganesh apparently used Free Basics to double his crop yields and get a better deal for his produce. Zuckerberg stressed that “critics of free basic internet services should remember that everything we’re doing is about serving people like Ganesh. This isn’t about Facebook’s commercial interests”. Zuckerberg’s indignation illustrates either how little he understands about the internet, or that he’s willing to say anything to anyone listening. This means that Free Basics is able to read all data passing through the platform. The same rules don’t apply to Facebook itself, ensuring that it can be the only social network, and (Facebook-owned) WhatsApp the only messaging service, provided. 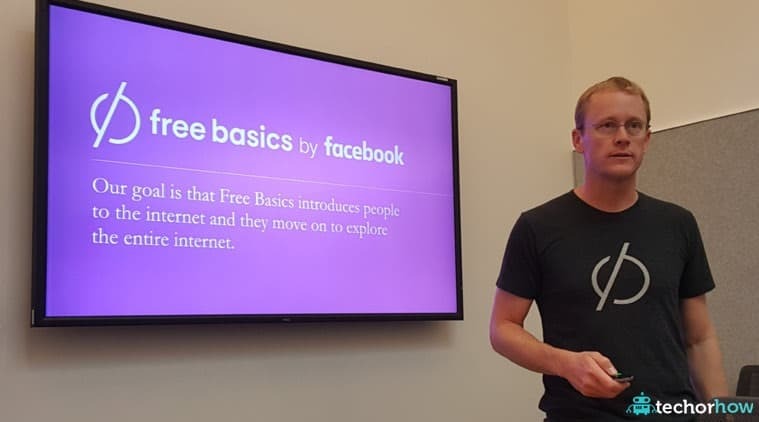 Yes, Free Basics is free. But how appealing is a taxi company that will only take you to certain destinations, or an electricity provider that will only power certain home electrical devices? There arealternative models: in Bangladesh, Grameenphone gives users free data after they watch an advert. In some African countries, users get free data after buying a handset. Second, there is no convincing body of peer-reviewed evidence to suggest internet access lifts the world’s poor out of poverty. Should we really base telecoms policy on an anecdote and a self-serving industry report sponsored by the firm that stands to benefit? India has a literacy rate of 74 per cent, of which a much smaller proportion speak English well enough to read it. Literate English speakers and readers tend not to be India’s poorest citizens, yet it’s English that is the predominant language on the web. This suggests Free Basics isn’t suited for India’s poorest, who’d be better served by more voice and video services. Third, the claim that Free Basics isn’t in Facebook’s commercial interest is the most outrageous. In much the same way that Nestlé offered free baby formula in the 1970s as development assistance to low-income countries – Free Basics is likely to impede commercial alternatives. By offering free access Free Basics disrupts the market, allowing Facebook to gain a monopoly that can benefit from the network effects of a growing user base. Sunil Abraham, executive director of the Centre for Internet and Society, in India, has aptly noted that expanding audience and consumer bases have long been as important as revenues for internet firms. Against Facebook’s immensely deep pockets and established user base, homegrown competitors are thwarted before they even begin. India will not always have low levels of internet access, this is not the issue – in fact Indian internet penetration growth rates are relatively high. Instead, the company sees Free Basics as a means to establish a bridgehead into the country, establishing a monopoly before other firms move in.